Tap, tap...is this thing on? Hello out there...I'm wondering if anyone is still following the eclectic Paperie blog. If so, guess what? We're still in business!! We're now only online (hello, what was I thinking opening a brick and mortar store while trying to raise two children and run a household...right...), and the store format is a bit different, but we're still selling all of your favorite mixed media products. Only now...they're all discounted 20%! Yippee! So...let's get started with this week's deal! This week we're offering a bundle deal that includes a brand new product from Wendy Vecchi...Newsprint paper! The Newsprint paper is the perfect stamping surface...think vintage paper with the delicate antique book pages! Use Glue 'n Seal to attach the Newsprint to Clearly for Art, stamp images on Newsprint, color, and cut out. 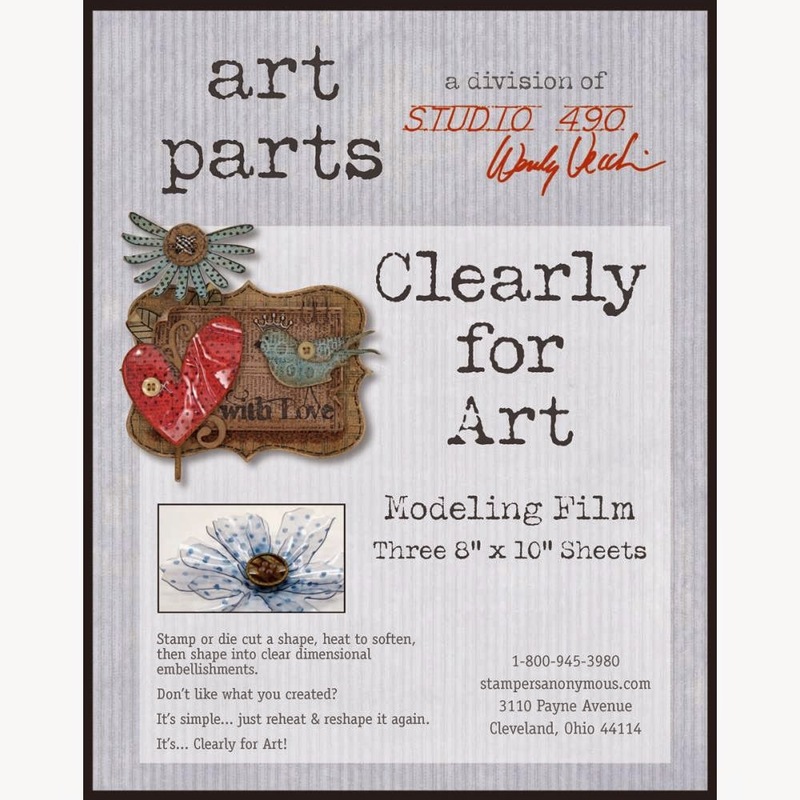 Use a heat tool to soften the Clearly for Art and mold image into desired shape. 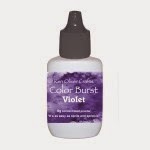 Just think of all of the beautiful dimensional flowers you can create! The Newsprint is packaged as 50, 8.5" x 11" pieces. This week's bundle deal includes one package of Newsprint, one package of Clearly for Art, and one jar (1 oz.) 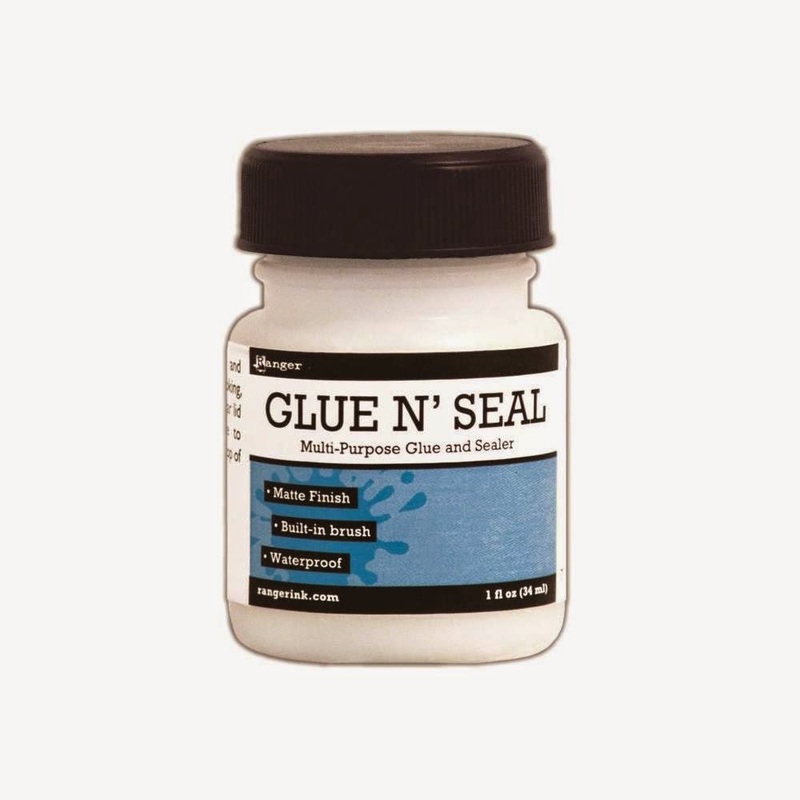 of Glue 'n Seal. All for the low, low price of $9.92! for free! Both of these bundles have limited quantities so grab 'em before they're gone! So if you haven't been by the store in a while, I hope that you stop by the store and check out the changes. Be sure to read about the changes on our Policies page and as always, please feel free to drop me a line with any questions. Hi Kim, I always love this blog. Great to hear, you are back. I will be looking forward to see your beautiful creations. I'll be looking for your posts!! Hey, I'm here. I just wanted to say good to see your blog back in my feed and welcome back. Sooooo good to see you back again. I have definitely missed seeing your creations. Hello again.